I’m showing my age but also attesting to how long I’ve been in business when I recently came across this charge card imprinter in a box in the back of my closet. Do you remember these? For those of you who have never seen one they predate chips and even magnetic stripes on credit cards, known as charge cards in those days. 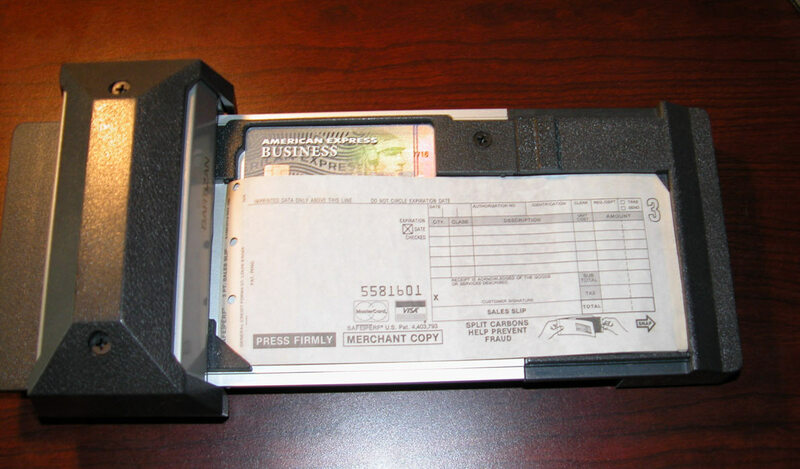 Debit cards hadn’t been invented yet. The slips were numbered and had two carbon paper inserts to create three copies of the purchase – one for the business, one for the customer and one for the bank. This was known as plain old ‘commerce’, not ‘ecommerce’. Now you can use your cell phone to accept credit cards. I had it happen to me the other day when I had a shed delivered and installed at my house. When the crew was done, one of them whipped out his cell phone with a little attachment and just swiped my credit card. It still makes me nervous but again, I’m showing my age. Thieves used to go through the trash at businesses looking for the carbon paper left over from charges which contained the credit card numbers. It was a security matter that smart consumers kept the carbon copies themselves or were assured that they were being shredded by the business. Now thieves don’t have to physically go through trash, they just sit at their computers and try and hack the information. Look at all the businesses that have had millions of credit card numbers hacked. It’s hard to shred charge card information when it’s in the cloud, eh?